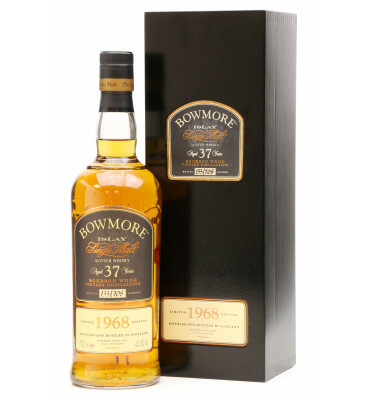 It was back in 1968 when this rare expression of Bowmore first started its journey. The barley was first malted on the traditional malt floors, still in use today. The 'green' malt was then peat kiln dried at the distillery, imparting that glorious smoky aroma to the malt. After fermenting in the large wooden 'washbacks', the pure spirit was then distilled from Bowmore's large copper stills. But this was just the beginning of its journey. On the 19th November 1968, the spirit was filled into selected bourbon oak casks and laid to mature in the cool dark vaults at the distillery. 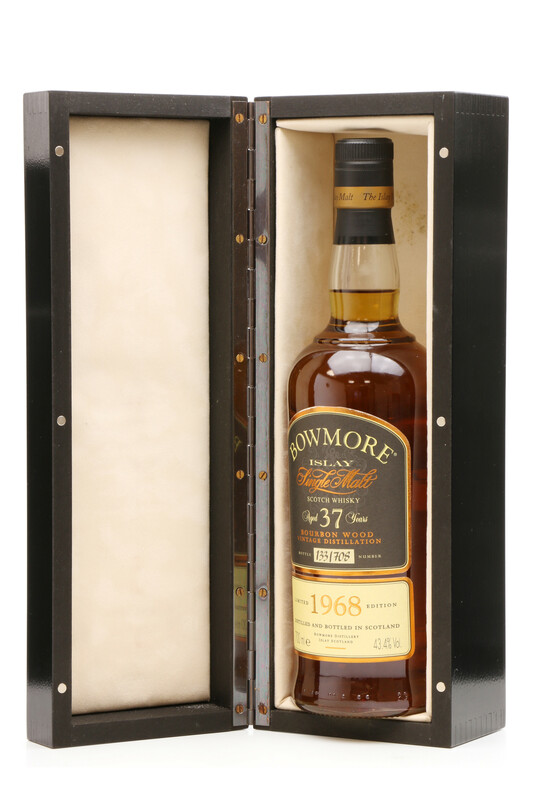 For thirty-seven years the casks remained undisturbed, protected from the Atlantic gales, lashing sea waves and long summer days by the thick vault walls. The journey is now nearing its end. 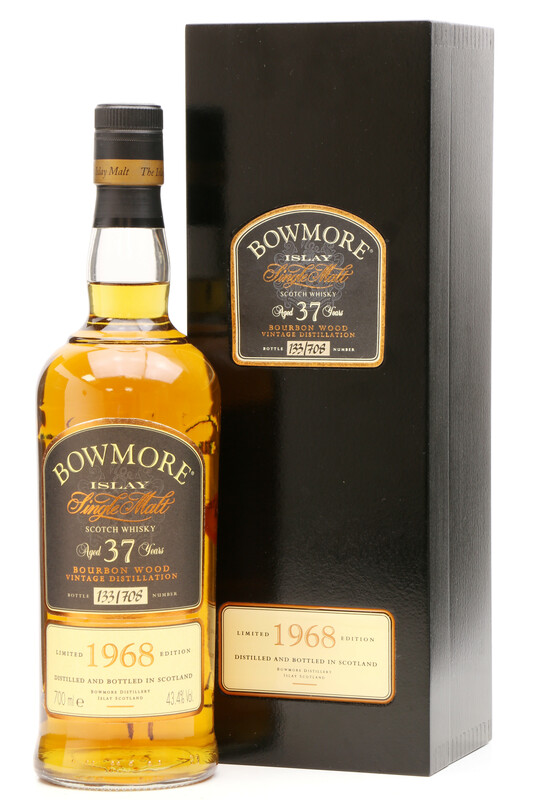 After thirty-seven years this stunning expression of Bowmore has finally been decanted into 708 bottles at its natural cask strength. The colour is a rich deep mahogany. The aromas are delicate with candied fruits, cinnamon and warm smoky undertones. 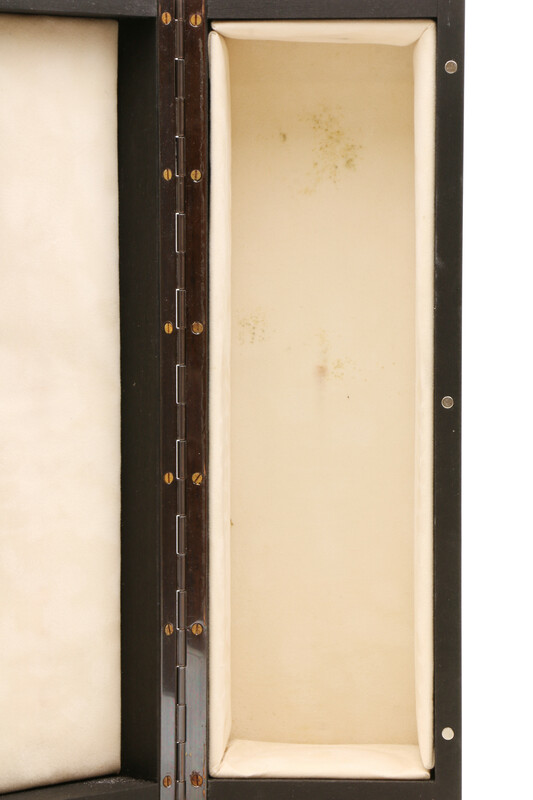 On the palate, it is lightly smoked with exotic fruits and vanilla. The finish is warm, delicate and soft. Please Note: Minor marks to felt inside of box.